Leading pentecostal churches in Nigeria have explained why TB Joshua cannot be granted permission to join their fold, The Pentecostal Fellowship of Nigeria, (PFN). 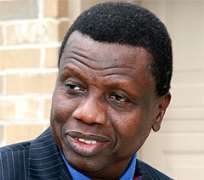 One of them, Pastor Enoch Adeboye, Overseer of the Redeemed Christian Church of God, voted one of Newsweeks 50 Most Powerful People in the World went further to say that he will not even worship in Joshua's Church. For President of the PFN, Rev. Ayo Oritsejafor of the Word of Life Church, before Joshua could even qualify to be a PFN member, he should show who tutored him as a pastor in the first place. Joshua is reputed to have said that he was converted in his mother's womb. But the PFN president replied that, “Jesus did not say by their words you will know them; he said by the fruit you shall know them. If T.B. Joshua can show me his pastor who pastored him before he said he was called into the ministry; if T.B. Joshua can tell me when he got converted and how he got converted, then we would consider him. Anybody who is a Christian is a Christian because he received Jesus Christ at a point. Secretary General of the Christian Association of Nigeria (CAN), Rev Moses Iloh in his response to the controversy, asked the government to leave Christian leaders out of their national awards. Recently, some of religious leaders in Nigeria were given national honours by President Umaru Musa Yar'Adua based on their humanitarian services. The awards were criticized by some religious leaders who said some of them, such as Pastor TB Joshua did not deserve the award. In the ensuing the controversy, General Overseer of Redeemed Christian Church of God has declared that he will never worship in TB Joshua's church for any reason whatsoever. Why has the Fellowship refused to grant T.B. Joshua's application for membership? I will love to leave that one to the president because when the president speaks, it will be PFN that speaks. It will not be the personal opinion of Pastor Adeboye; but I can assure you the PFN has spoken before on that issue and if you raise it with the president once more, he will tell you exactly what we said. As a matter of fact, I remember there was a publication in several newspapers, where the leaders of PFN signed to reiterate the body's decision on this particular person. If you ask the president again, he will elaborate on that. Is it a foreclosed issue? Is it that the man cannot repent? Why is the Church dancing round the issue of T.B Joshua? The Church is not dancing round the issue of Joshua. We said what we said categorically and by the time you make a publication in newspapers, you are sticking out your neck. You are saying that if I am sued on this issue, it is okay by me. So, by the time you go as far as putting your signature down in a publication, you have made your stand absolutely known. There is no issue of dancing round it here. Now, on the issue of repentance, anybody can repent. I mean why are we preaching the gospel? We are preaching the gospel because we believe that even those who say there is no God today can change their minds and say there is God tomorrow. You needed to know who I was before the Lord saved me. So, if He could change my life and turned me into a preacher, He can change anybody. But if he invites you, will you minister in his church? No! Definitely not! If he wants me to come and minister in his church, we will sit down; we will discuss the issue of salvation the way I understand it, according to the scriptures. If we agree on that and he now wants me to come and preach the same message of salvation in his church, then I will go. What is happening to some memberson suspension and those who have not been allowed to join the body? Let me start with those that have been suspended. All of them are back in the body, with the exception of one or two. And I think things have been smoothened out. Nearly of them had come and written to apologise to us. They have all gone through that. It is only one person that I have not written to inform of the lifting of suspension and that is because of one technicality or the other. On those that have not been allowed to join, you have to take each case on personal merit. On Ayorinde, honestly I don't know much about him and his case. I have seen him in some of our gatherings but honestly I don't know much about him. And if that is anything wrong, it will be brought to my notice, and if he feels he is not accepted, he has to come and talk to me so that we can sort it out. But those that we think are doing offensive things, we will accept them when they take care of these things. Why are you not taking TB Joshua? We are not taking T.B Joshua but like I said, he too can repent and be converted tomorrow. T.B Joshua can say I accept Jesus Christ as my Lord and personal saviour; I repent of my sins. Then he can say, come check me out and see what I am doing then we can consider accepting him. PFN is for all; nobody is really excluded. But he too preaches the gospel with miracles? Jesus did not say by their words you will know them; he said by the fruit you shall know them. If T.B. Joshua can show me his pastor who pastored him before he said he was called into the ministry; if T.B. Joshua can tell me when he got converted and how he got converted, then we would consider him. Anybody who is a Christian is a Christian because he received Jesus Christ at a point. I gather he said he was converted in his mother's womb and I don't see anybody like that in the Bible. It is a conscious decision you make and it doesn't happen in your mother's womb. How would you describe the national honours given to some religious leaders by President Yar'Adua? It's a Federal Government palaver, and as long as it is PDP that is in power, it is in the best position to honour any Nigerian with whatever honour. And it is the right of any honoured Nigerian to either accept or refuse. And if you look at those who were given the honours, they were a mixture of different persons including those who called themselves nominal Christians, Pentecostal Christians and even unbelievers. First of all, it is expedient to look at the yardstick on which these particular persons were honoured. One should not also forget that the Federal Government is not a Christian government, so its yardstick might not be based on the Bible. And so if one should look at it from that perceptive, it (FG) is at liberty to do what it wants but the important thing is the decision of the individual to accept the national honour. But, personally, I do not agree with various kinds of honours given by whatever government, not only now but even in the past. Isn't Prophet T.B. Joshua qualified for such honour? That someone is picking beggars on the street does not mean he should be honoured. If a robber steals from the nation's treasury and comes back tomorrow with all kinds of gifts for the poor, it does not make him a saint. Would you close your eye from the fact that he is a robber? I would rather look at the source of his wealth than what he offers. It only interprets that he is a crook, a liar, a cheat and he must not be honoured. It doesn't matter what he does. The one who gives the final honour is Jehovah. I'm not against giving to charity but let us look at this so-called charitable fellow or organisation. I would rather say religious people should not be included in such honour. As a child of God, it is always good to give glory to God. Every religious leader should learn how to say no to such award. They can only thank the government and reject the honour. That is my sincere advice to the so-called pastors who belong to my constituency. Government should try and leave Christians out of awards or honours because they are not working for perishable reward.. They can be honoured for other things but not for doing the work of God. Let government stop tempting Christians. What's CAN position on this issue? If you want my opinion, CAN should be dismantled now because it is not actually a Christian dominated organisation as it should. CAN should be dismantled so that what is called church in Nigeria could be restored. Let every church leader come together and have a standard and well structured constitution based on the word of God that would better the church and the country. It will interest you to know that there is what we called chosen in CAN which is contrary to the word of God. There is everything in CAN both Christians and non-Christians and as much as you want to know anybody can belong to CAN. The fact remains that CAN was not founded on Christianity and so it would be difficult to start debating that now. It was founded during a military regime and that makes it an emergency organisation. It is better if Christian leaders can come together and put up a visible church that would represent the invisible body of Christ which is called the Church and the only head of that church is Jesus Christ. CAN should resolve to put up a body capable of ruling the nation. I belong to CAN but I have always wished and prayed that one day, it will be pushed apart so that we can have a church in Nigeria.